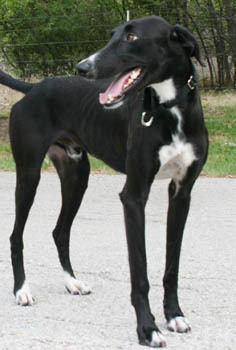 Timothy is a small, untattooed, black male with white accents on his nose, toes, tail and chest. He is estimated to be between 1 and 1½ years old. 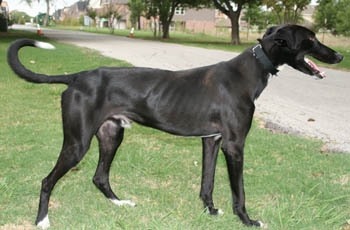 He was found as a stray on a ranch outside of Crosbyton, TX near Lubbock along with Penelope and Arthur. All three are thin and were extremely happy to find someone willing to shelter, water, and feed them! Thankfully, Timothy is heartworm negative. GALT's West Texas representatives took good care of him. Timothy has passed an initial cat test and is getting a longer trial-run with kitties in his foster home.